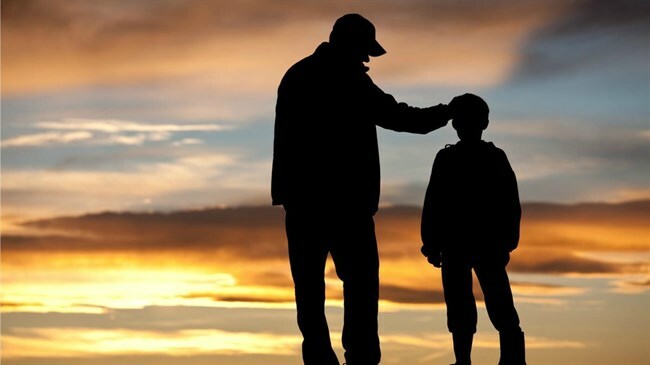 Celebrate dad on this overnight camp at the Perth Hills Discovery Centre in the Mundaring Weir Precinct. 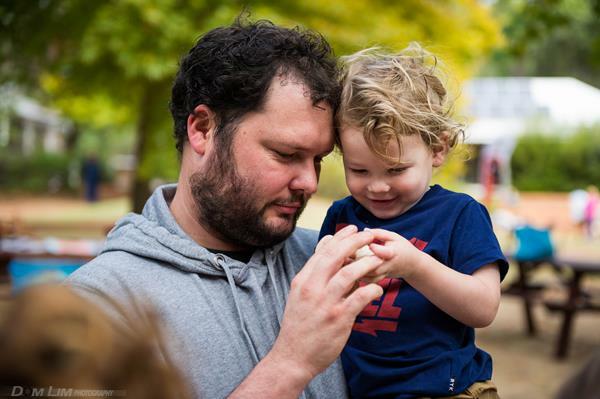 Get up close with some insect loving lizards, enjoy a big dad breakfast and then get hands on building your own insect hotel to take home. 4.30pm-11.30am. Suitable age 5+. Bookings essential. 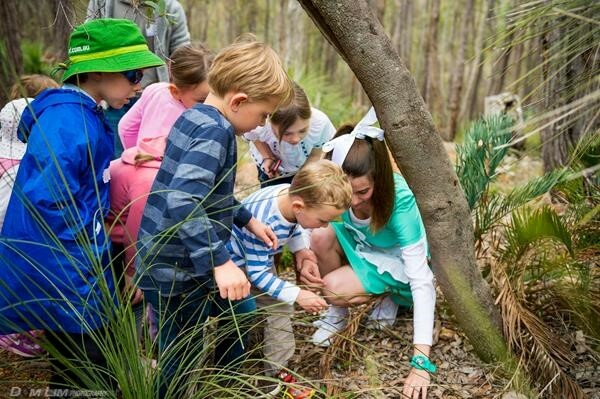 Find out more about this and other activities in the Sunlit Spring school holiday program here. ♥️ Dads rule at The Sawyers Valley Tavern Treat him to drink specials, live music and a chance to win a Dadpack. T: 6394 2486 to book your table. ♥️ Take Dad to watch the Perth Mtb Club 2018 WAMBA XCO State Champsionships in one of the premier riding locations in WA - The Goat Farm Mountain Bike Park. See more here. EVER wanted to try Stand Up Paddleboarding (SUP)? 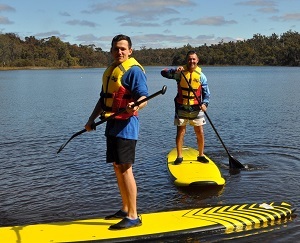 From the first weekend in September Lake Leschenaultia will be hiring SUP's as well as canoes, between 10am and 3pm on weekends, public holidays, and every day during the school holidays. 😍 Great news for those of us who would love to try the sport without having to buy our own equipment!! Enjoy four great one-act plays for the special price of just $10. Friday & Saturday evenings and Sunday matinee performances. To book or find out more view Facebook. A good level of fitness is required for this somewhat longer and tougher bushwalk on both wide and narrow bush tracks, including some steep sections. Featuring local history and wildflowers. Walk commences at 9am. Arrive early to allow for pre-walk introduction. Cost is $5 (payable on the walking day). No pets, bikes or children under 12. Bookings and enquiries: Tel: Cliff Burns on 9299 6696. The Perth Hills boasts so many historic and picturesque hotels and taverns, which have survived for the most part because of a 1922 relaxation on the ban on Sunday trading for hotels located over the (20 mile) limit from the Perth Town Hall. Learn the history behind the Sunday Session in this ultimate bus/dinner tour hosted by Sunseekers Nudist Club. Tel: 9295 4346. View Facebook event here. 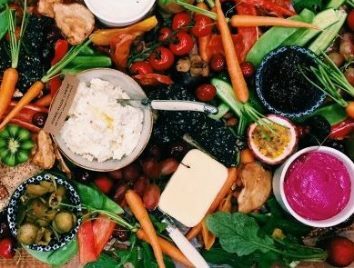 Experience a relaxing and fun day in tranquil surrounds, and enjoy a workshop that is all about slowing down, getting back to simplicity and savouring the satisfaction and pride that accompanies creating wholesome food from scratch. Learn how to make some simple pantry staples and leave with the confidence to make them at home. Workshop runs 9.30am-3.30pm, Short Street Kitchen, Stoneville. Visit website to find out more. Mundaring Sunday Markets has a great range of stalls, including seasonal fruit and veg, jewellery, scarves, bags, clothes, craft items, garden ornaments, plants, soap, honey, chutneys and preserves. Snap up a bargain, then enjoy a bite to eat at the Mundaring Hotel, just a few steps away. 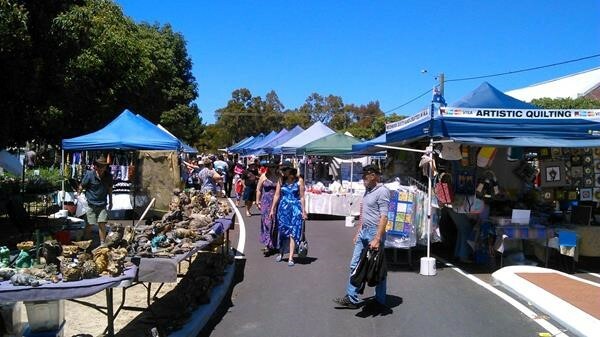 Markets run 9am-2pm, Nichol Street, Mundaring. 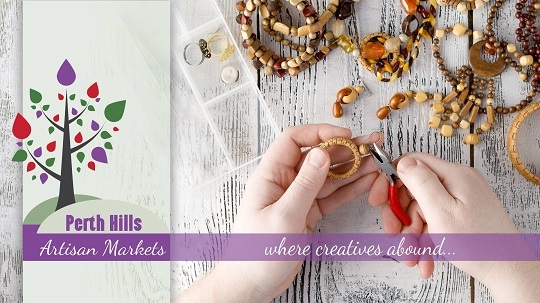 Perth Hills Artisan Markets is THE place to find gorgeous local work from local crafters, creatives and artists, local produce, jam masters, sweet treat makers, olive oil producers and more. Enjoy music by local musicians, indulge in delicious food and have a fabulous day out! 9.30am-3pm Helena College, Bilgoman Rd, Glen Forrest. View Facebook event. Markets run from 9am-3pm at Chidlow Hall, Old Northam Rd. View Facebook event for more information. 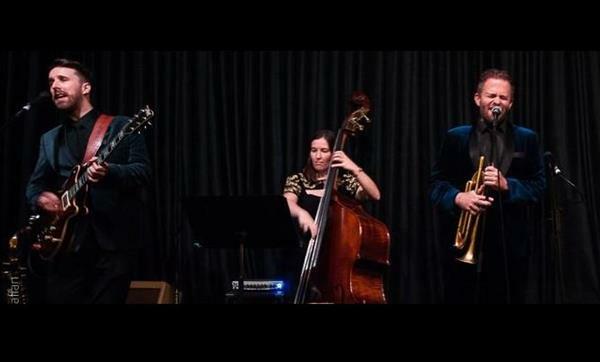 Spring may be on its way but The Parkerville Tavern is hosting another cosy live music Winter Warmer Session with some toe tapping jazz, rhythm & blues with Adam Hall & The Velvet Playboys Quartet 7pm-10pm. Visit Facebook event here. 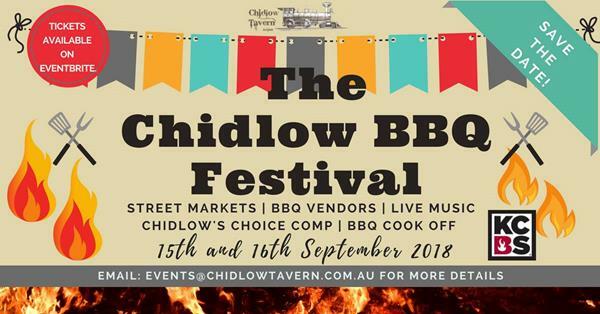 Running off the back of the wildly fun Spit in the Hills competition the Tavern is excited to host the first, annual Chidlow BBQ Festival event for all lovers of BBQ and Competition! More teams, more comp meats, more special classes, more BBQ's, more street vendors, more bands - MORE PRIZE MONEY! CHILL- On the grass with friends and family and soak in the atmosphere around you. 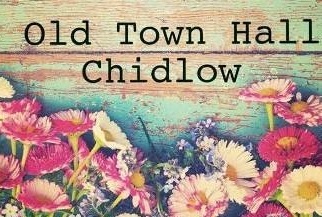 This event is hosted by The Chidlow Tavern. Event times Saturday 11am-6pm and Sunday 8am-6pm. View Facebook event here. Silver Tree Steiner School, 695 Roland Rd, Parkerville. Join in the fun on a two day camp, including horse riding and horse-themed activities. No mobile phones or computers - simply living in the moment and enjoying nature, riding, good company and wholesome food. Suitable for girls aged 13-16 years. Booking essential. Call Wendy for info.0427 444 051. The above events will be held at Perth Hills Discovery Centre, Allen Rd, Mundaring Weir. For the full program or more information click here. Tel 9295 2244. Join artist Mary Ann Dawson and be a part of this exciting annual project. Get creative and paint one, or many, of the hundreds of canvas leaves that come together to form the Shire of Mundaring Christmas Tree. Once painted the canvas strips are stapled to the large steel tree which stands proudly in front of the Shire Administration building to herald the start of the festival season. 10am-12pm or 1pm–3pm. Suitable for 8+ yrs. 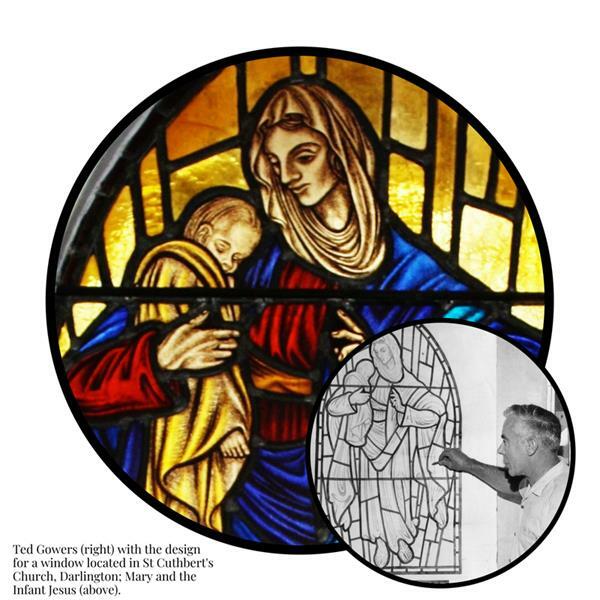 FREE event, with materials supplied. 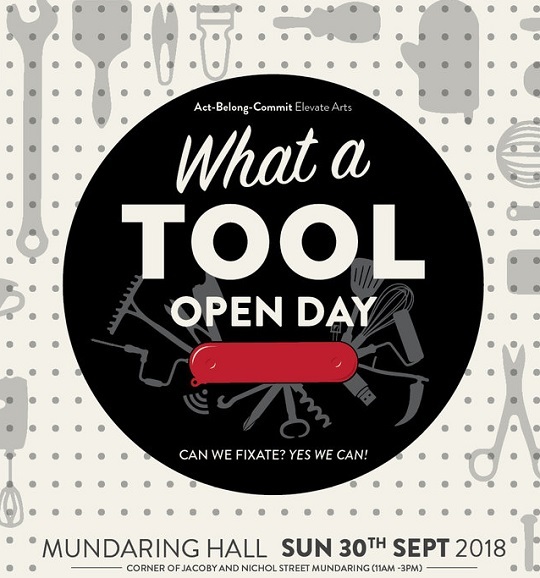 Visit Mundaring Arts Centre website to find out more. Swan View Youth Centre, Salisbury Rd, Swan View. This edition of the KSP Press Club will have young writers (KSP cadets), aged between 12-18 years unleashing their creative minds under the guidance of a local award-winning author. 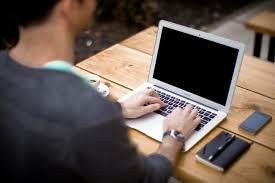 Become a journalist or feature fiction writer for a day; all forms of writing are welcome! Not to mention there will be games and exercises, personalised Press Pass on lanyard plus lunch and snacks. Bookings essential via website or T:9294 1872. 9.30am-3.30pm. 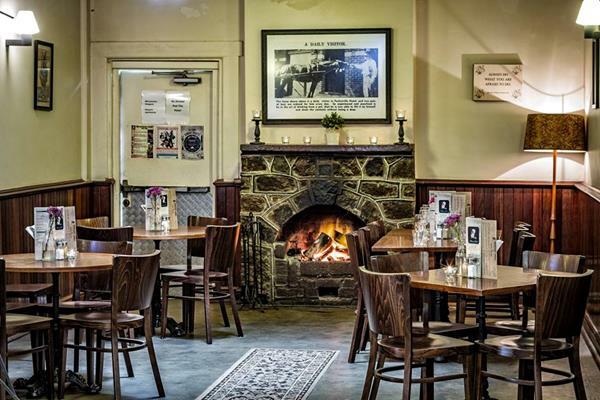 With cosy log fires inside and great outdoor spaces, plus an awesome line up of live music at their regular Sunday Sessions (3pm-6pm), the Parkerville Tavern has Sunday sorted! Queen’s Birthday Long Weekend Bonanza! Sunday Roast / Drinks Specials / Kids Activities + Bouncy Castle & much more! Meals and wood-fired pizza available ALL DAY. Owen Rd, Parkerville. Tel: 9295 4500. Visit website. 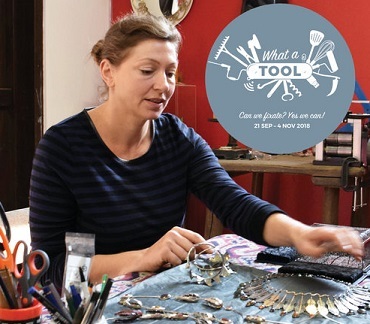 'What, a Tool' is a cross-community project involving local arts and cultural organisations working together to engage new audiences to investigate and celebrate our relationships with tools - past, present and future. 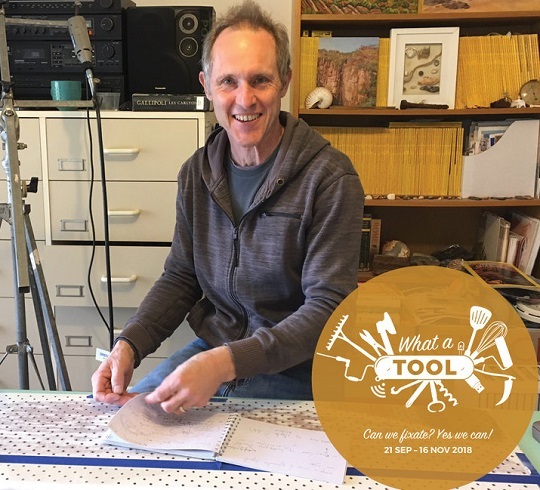 Twelve, successful mid-career artists examine their relationship with the tools they use on a daily basis as they create artworks, and the imagined tools that provide the answers to life, the universe and everything. 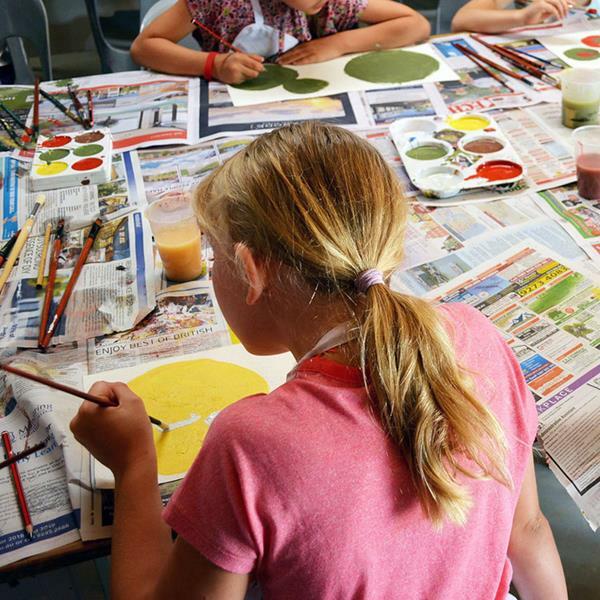 View more details on Mundaring Arts Centre website. 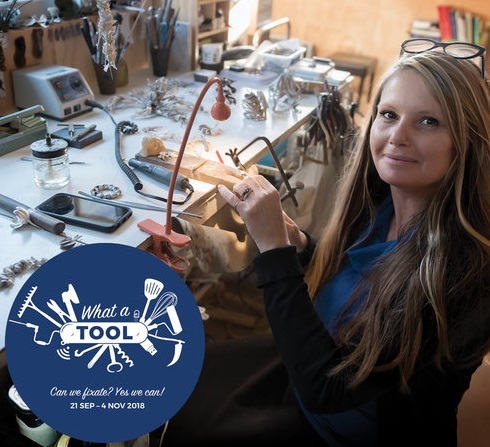 Join curator Jude van der Merwe and exhibiting artists Tony Windberg, Phil Gamblen and Denise Pepper as they discuss their arts practice and the artworks they have created for 'Instrumental: The Distinct Pleasures of Tools' as part of the 'What a Tool' project. Suitable for 14+ years. 12.30pm-1.30pm. Mundaring Arts Centre 7190 Great Eastern Hwy Corner of Nichol St Mundaring. Tel: 9295 3991. 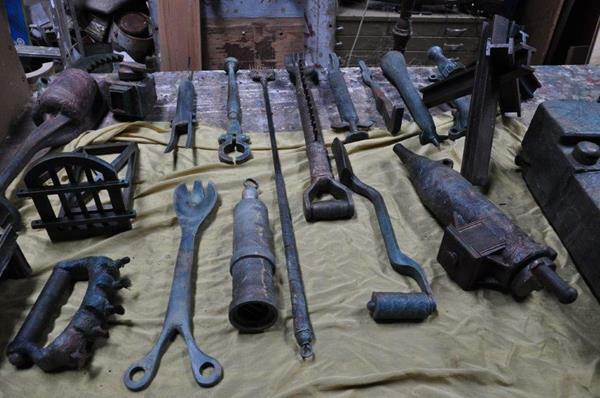 Learn the "tools of the trade" with renowned WA silversmith and jeweller Bethamy Linton. Create your own unique pair of textured and embellished earrings whilst learning roll-printing metal, cutting and assembling techniques. View event on Mundaring Arts Centre website here. 11am-1pm | Suitable for 14+ years. 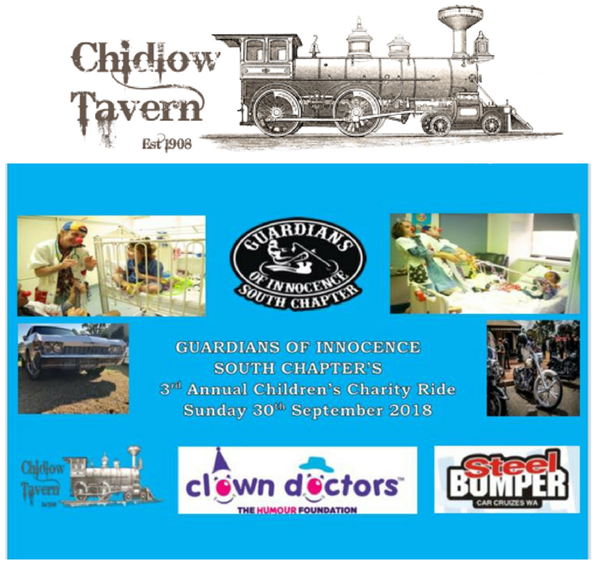 Guardians of Innocents has their annual children’s charity fundraiser, starting in Rockingham and finishing at the Chidlow Tavern. 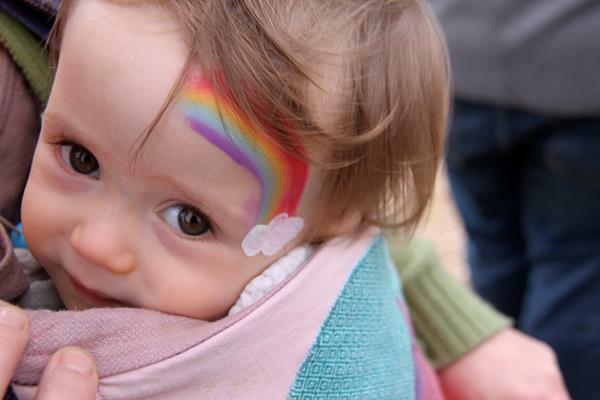 This year they are raising funds for the Clown Doctors Foundation. Meeting at the rear carpark of the Rockingham Hotel, cnr of Rockingham Beach Road and Flinders Lane at 9.00am, for a 10.00am start. 4 Thomas Street, Chidlow. Tel: 9572 4154. See Facebook event. 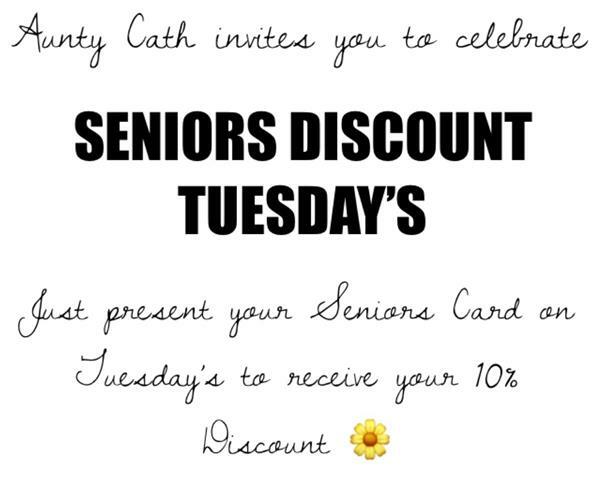 Aunty Cath's Cafe in Helena Valley is a lovely spot for a light bite any day of the week, but on Tuesdays throughout September Cath is offering a little extra enticement. The café has been styled using reclaimed railway sleepers and pictures of the Zig Zag Railway kindly donated by the Kalamunda History Village. The reclaimed wood and polished timber counter recycled from a fallen Marri tree in Helena Valley make a stunning showpiece and are in keeping with the heritage of Helena Valley. FREE courtesy bus operates Friday and Saturday 6pm-midnight and Sunday Session 2pm-7pm. Tel: 6394 2486 to book. Mundaring Visitor Centre is open 7 days a week, Mon–Sat 9.30am–4pm and 10am–2.30pm Sundays and most Public Holidays.